There is a high risk of head-on collisions and serious injuries in the absence of proper barriers. Nowadays most of the highways have some sort of barriers to reduce the chances of crossover accidents. These barriers are very important because vehicles traveling at high speeds on the highways can easily cross over a median and hit the opposing traffic. So there are plenty of chances for the occurrence of head-on collisions and serious injuries to passengers in the absence of proper barriers. 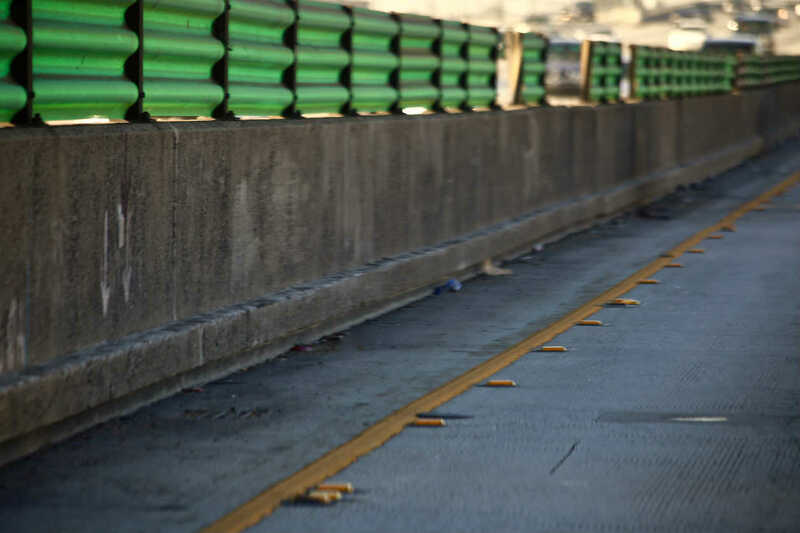 Median barriers are installed on divided highways. They are longitudinal barriers which separate the traffic coming from the opposite directions. These barriers are placed so that a collision which occurs on one side does not cross over to the other side of the road and causes a head-on crash with the vehicles on the other side. Rigid Barriers – They are the most effective type of barriers. They are made of concrete. They are very useful in areas where there is a high volume of traffic and vehicles travel at high speeds. They are recommended for areas where there are more trucks on the roads. The limitation of this kind of barrier is that if a crash occurs they absorb minimum energy. This increases the severity of the accidents. Semi-Rigid Barriers – These are guide rails or guard rails made by connecting segments of metal railings which are supported by blocks and posts. They are expected to absorb energy when a crash occurs and to deflect or move a vehicle at the time of a collision. The downside is that there are more chances for the vehicle to break through a semi-rigid barrier arrangement than a concrete one. Cable Barriers – These barriers are made up of numerous steel cables which are connected by a series of posts. They are meant to minimize the impact on the vehicle and the passengers and to absorb the maximum amount of energy at the time of a crash. The disadvantage of this kind of barriers is that they can be breached more easily than the former ones. Official records show that head-on collisions caused due to median cross-over at high speeds are more serious than other highway crashes. They cause severe injuries which may be fatal. Mostly, crossover accidents involve side impact or frontal crashes. They cause extensive damage to the vehicle. Many times, the vehicle gets crushed. This is very dangerous for the passengers who are sitting inside. Sometimes, the impact of the crash is so violent that the driver and the occupants of the vehicle are propelled forward. If they have not fastened their seat belts they may even be pushed out of the vehicle. Injuries caused due to ejection can be disastrous. The individuals may sustain head or spinal injuries. Even if the passengers use their safety belts they may still get injured seriously because of the head-on collision. Have you sustained injuries in a crossover collision? Make sure your legal rights are protected! Call The Hoffmann Law Firm, L.L.C. 24/7 at (314) 361-4242.